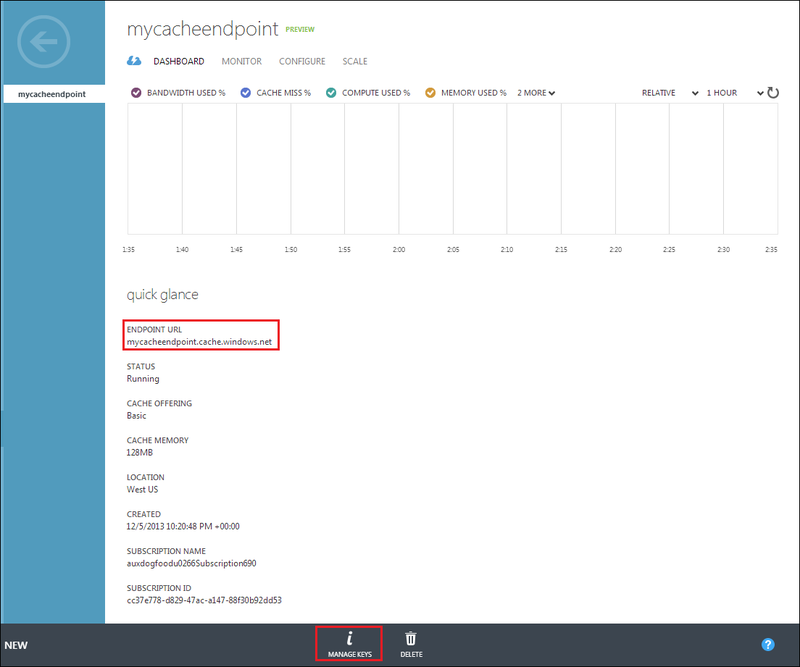 First you need to login into the Azure Management portal and create a new Azure cache service Once the cache endpoint is created, you can access the cache service dashboard in the Management portal. Make a note of the endpoint URL and the Primary Access key (Clicking on Manage Keys will display the endpoint Key). 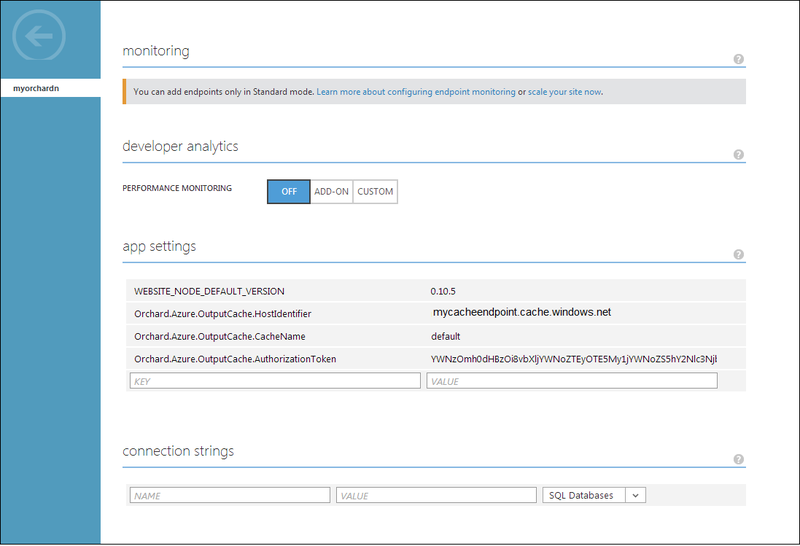 You can create named caches for the Azure cache endpoint and configure it as desired. For this tutorial I am using the default named cache. Restart your website in the Management portal to reflect the changes made to your website. That’s it you Orchard CMS website is using Azure cache service. To test the impact of Azure Cache service on your website’s performance, you need to run a simple Visual Studio load test on your website.For more information, see How to run a Visual Studio Load Test One thing to note is that the physical capacity is the only limiting factor based on the cache size you have purchased. There are no quotas or throttling for Azure cache service (Preview).